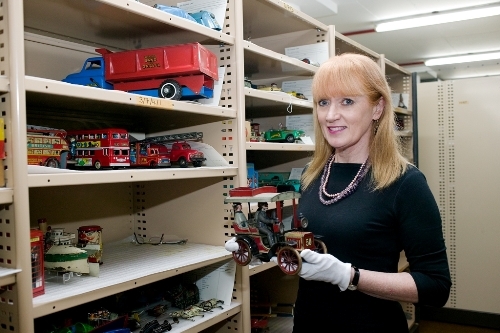 Griffith Pioneer Park Museum will host a visit by Margaret Simpson, a curator from Sydney's Powerhouse Museum. Mrs Simpson is a transport specialist and with her husband Phillip has written on agricultural machinery, among other topics. She will visit Griffith as part of a curatorial visit offered by the Museum of Applied Art and Sciences. Mrs Simpson will speak on the role of museums in teaching history and the use of their collections. “We’re really lucky to have Margaret visit Griffith at this time as she’s enthused about the opportunities for regional museums to contribute in educating younger generations,” said Jason Richardson, Curator at Pioneer Park Museum. Mrs Simpson will talk about what country museums can contribute to their communities, how curators can assist them to do this and the role of museums in inter-generational learning. Come to Griffith Pioneer Park Museum to hear Margaret Simpson talk at 11 am on Tuesday 30 August. Cost is $5 or free for Museum volunteers. Sydney Dance Company is coming to the Riverina! Taste Coleambally - it's all about the arts!